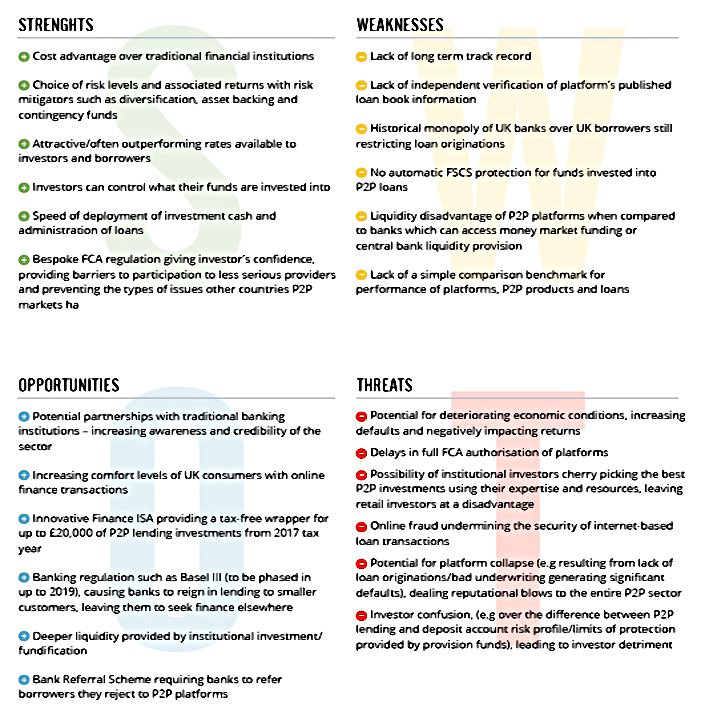 Today’s post is about another Alternative Investment Report from Intelligent Partnership. 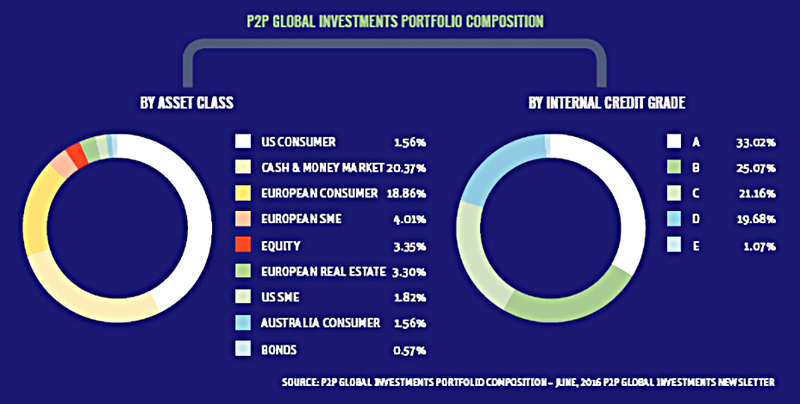 This one covers the state of play in P2P lending. Intelligent Partnership produce a whole range of annual reports on areas of the alternative investments industry. Recently, we looked at their report on Business Property Relief, and the AIM portfolios offered by various asset managers to protect their clients from IHT. 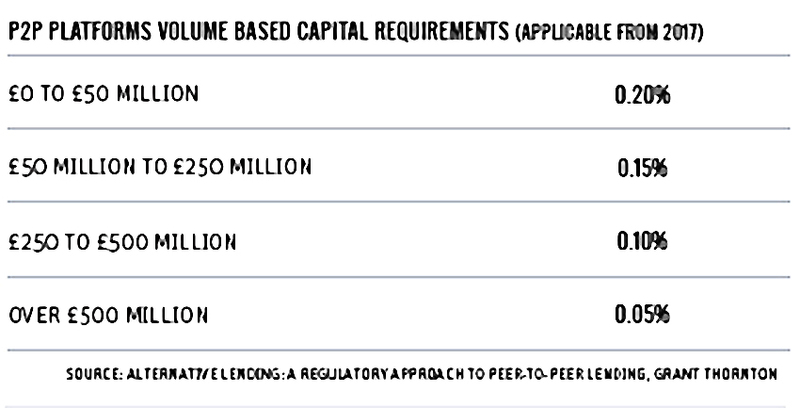 But today’s report is about Peer-to-Peer Lending (P2P). It’s the 2017 report, which means that most of the data is from 2016. P2P lending is also known as marketplace lending (MPL) and online lending. It originally involved one individual loaning money to another as a personal loan. Now corporate loans, property loans and institutional lending are also part of the mix. The loans issued are often made up of dozens to hundreds of contributions from different investors. The minimum investment on many platforms is £10. 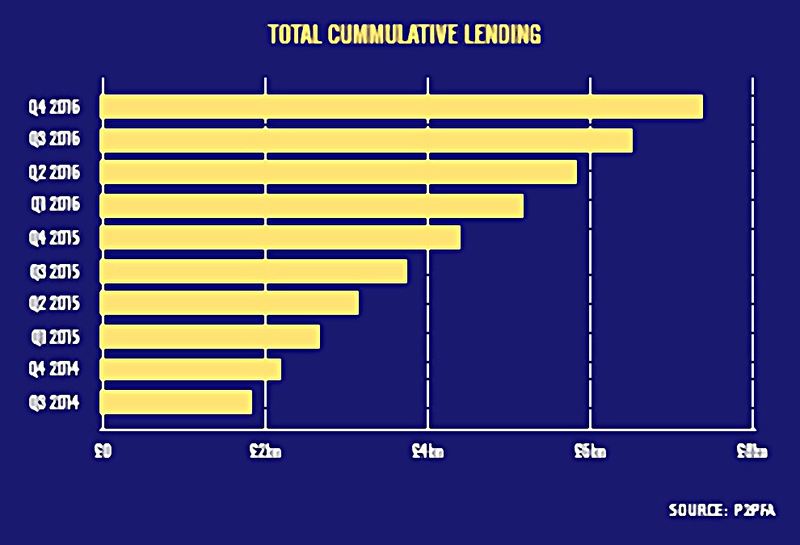 The average amount invested per lender is several thousand pounds. P2P lending should not be confused with crowdfunding, where investors purchase small amounts of equity in a company, rather than its debt. This is even more risky than P2P lending. Confusingly, the FCA (but almost no-one else) uses “Crowdfunding” as an umbrella term for “Equity Based Crowdfunding” and “Loan Based Crowdfunding” (P2P). 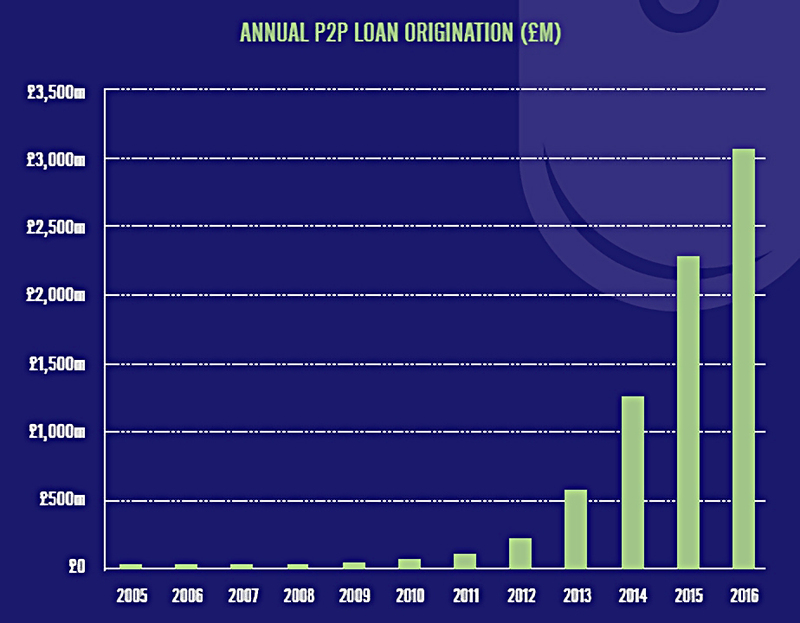 P2P lending began in the UK with the formation of Zopa in 2005. I was an early adopter and even went to the trouble of getting a consumer credit licence so that I could offer loans through my company. But when the credit crunch hit, I assumed (wrongly – see below) that default rates would rocket, and I stopped lending. Since then the market has grown to an estimated $180 bmn worldwide. UK transactions in 2016 were £3 bn. There are 392K personal borrowers as at 4Q16. There were 1.3M applications – only 16% of personal applicants are approved. 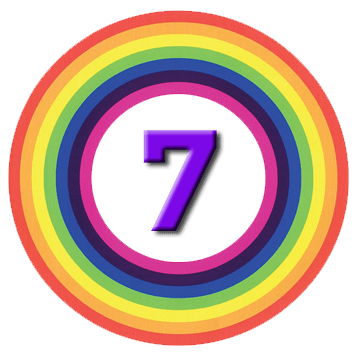 P2P lending supplied 14% of all new loans to SMEs, but the average loan size of £76K indicates that the companies involved were at the shorter end of the spectrum. There were 10K new loans to SMEs in 201, but only 23% of applications were approved. 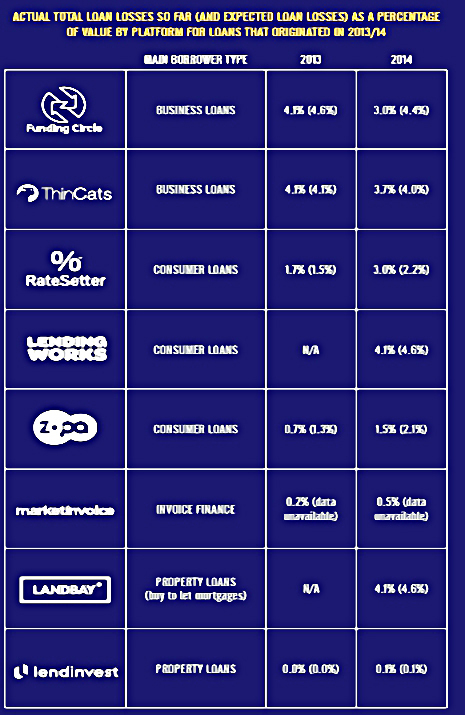 The average loan had 347 lenders, each in for £220. P2P real estate lending had a higher acceptance ratio than the other sectors, at 27.5%. This can be seen as a safer sector within P2P, as the loan to value ratio averages 65% to 70%. 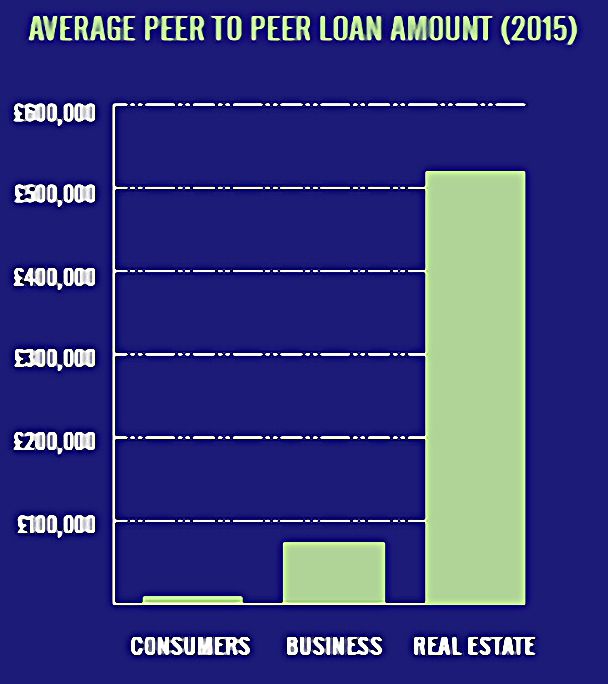 Average loan size was much bigger at £533K, with 490 investors each in for £1,066. So diversification is still possible within this sector, though more expensive. The UK market is predicted by some to grow at 40% pa, which would put it at £30 bn by 2022. I have my doubts about this, as there are problems with credit quality and with institutions muscling in as the market grows (see below). 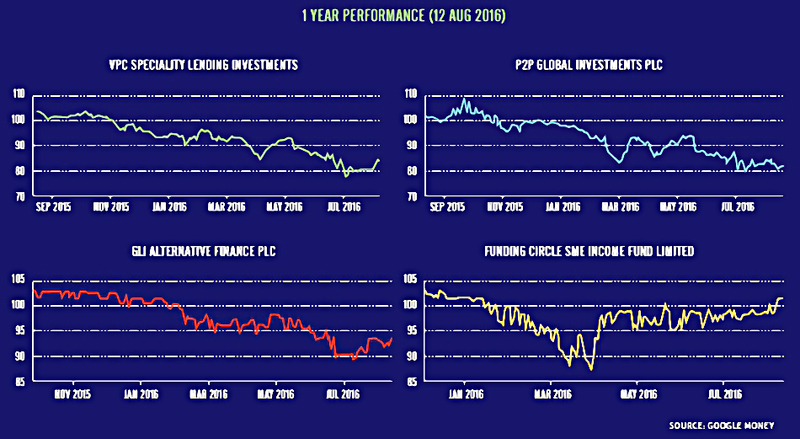 The Peer to Peer Finance Association (P2PFA) reported their first ever down quarter in 2Q16 (down 8% from £715M to £658M), though Q3 was higher again. And in January 2017 Hargreaves Lansdown ditched plans to launch its own P2P platform. Part of the growth was expected to be driven by the Innovative Finance ISA (IF-ISA), but this has proved to be a damp squib so far. I put this down to the lack of a platform through which a P2P portfolio can be diversified. With each year’s ISA (of up to £20K) lodged with a different provider, it would take £60K to £100K to achieve diversification. Low interest rates, the new personal savings interest allowance, and the offsetting of losses against P2P income could also be factors. 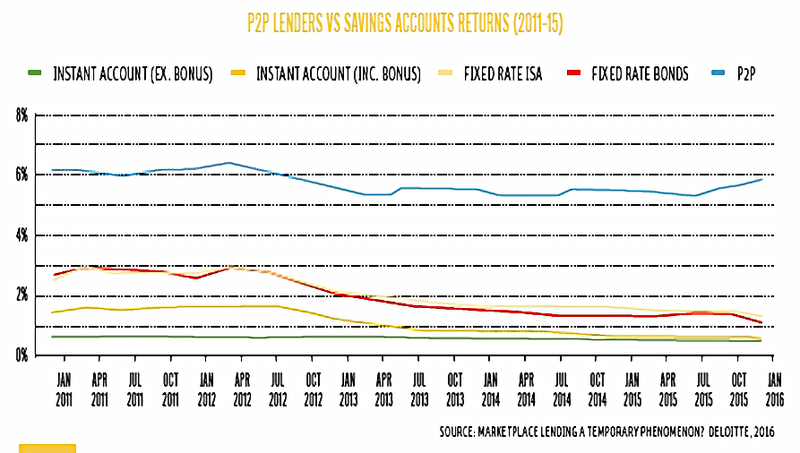 In theory the growth makes sense, since P2P offers higher rates to lenders (individuals) and lower rates to borrowers. You can get 5% or more by lending via P2P, compared to less than 1% on the high street – but your capital is at risk. The industry has a decent track record (thanks to Zopa), but most of the individual players do not. With a recession possibly just around the corner, and UK consumer credit at record levels, the risks cannot be ignored. There are more than 100 crowdfunding platform in the UK – this includes equity platform as well as P2P, a staggering number. 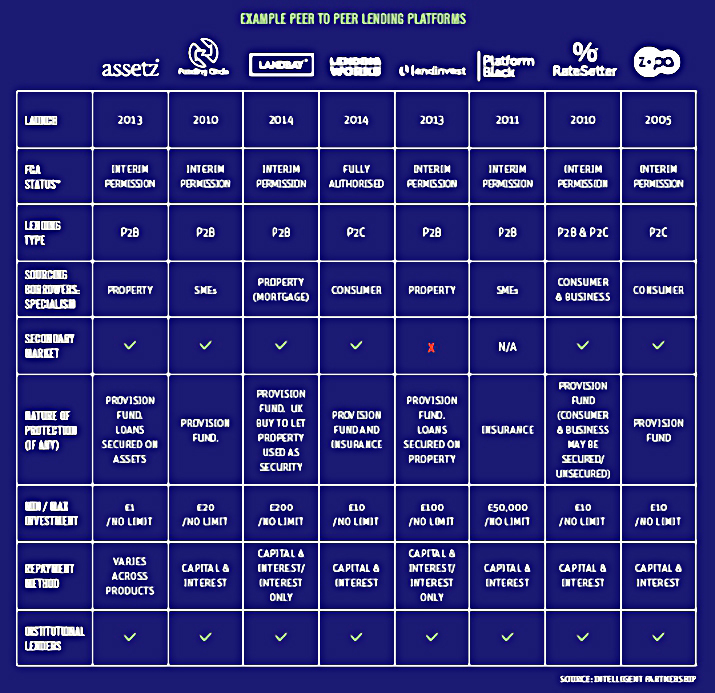 Of these, 52 are P2P platforms. The rate of new openings peaked in 2014, with far fewer launched in 2015 or 2016. 2014 was also the year with the largest number of closures. Funding from banks etc. 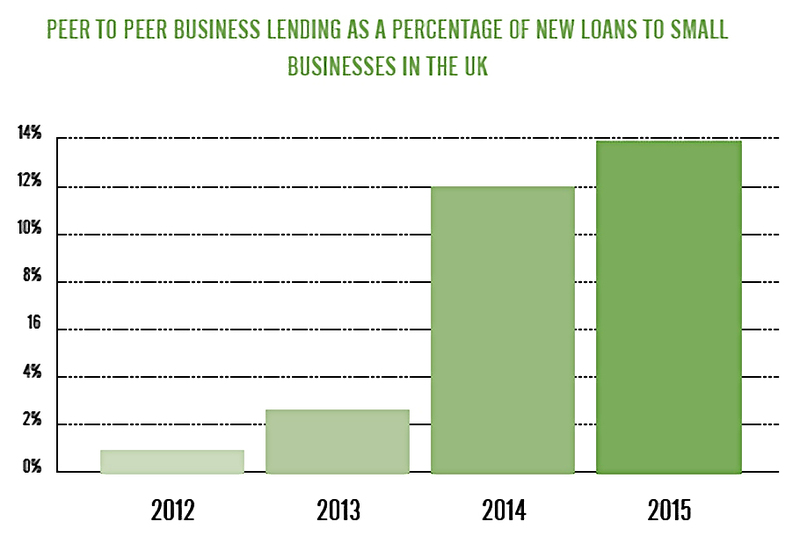 into P2P lending is rising, which could potentially squeeze out private investors over time. Institutional lending made up 26% of SME loans and 32% of consumer loans. The British Business Bank (BB) has lent close to £200M, often by topping up the remaining unfunded portion of near-fully funded loans. The key worries with institutional lending is that they will cherry-pick the best deals, and may withdraw capital in a downturn. 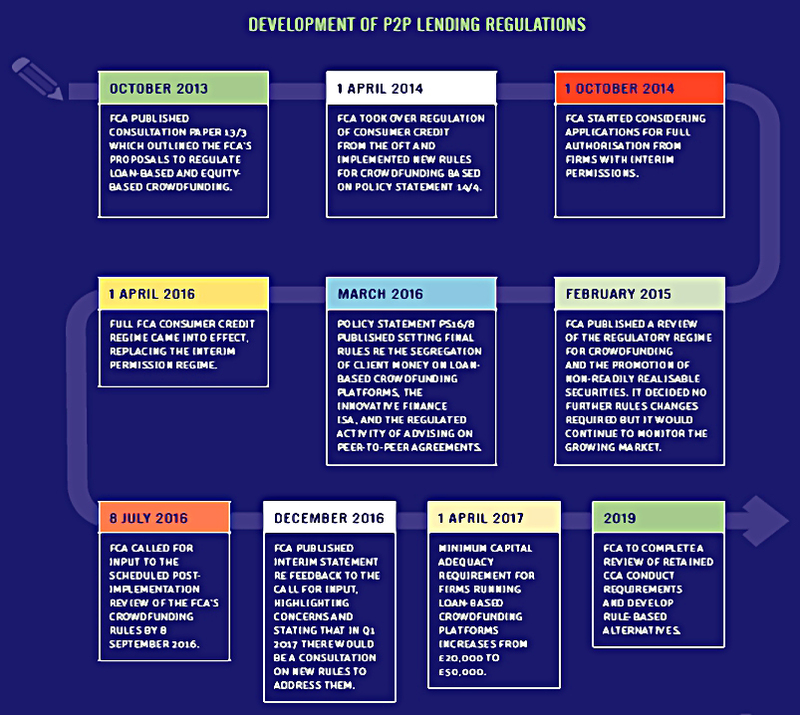 P2P lending is regulated by the FCA, and the evolution of the rules is shown in the chart above. 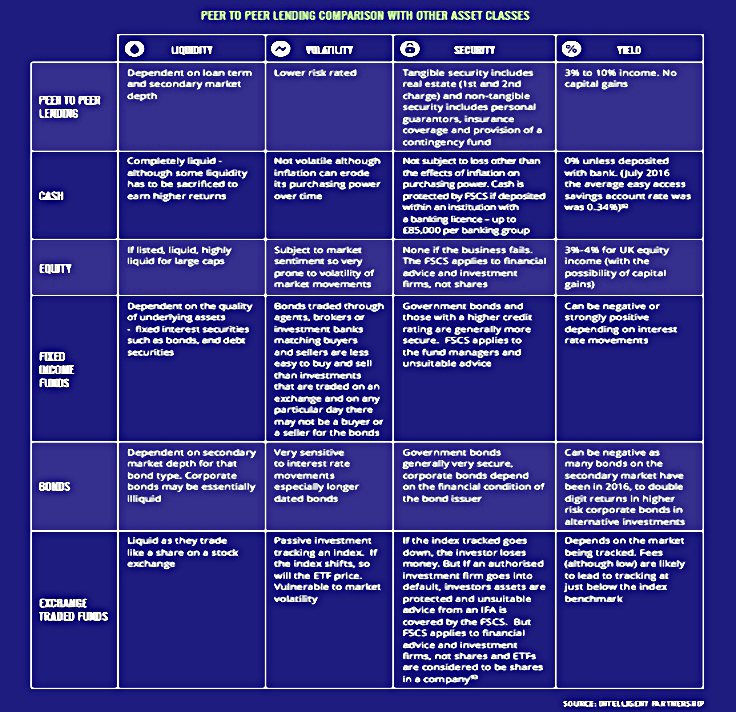 Capital requirements are shown in the table below. Default rates have generally been lower than forecast, and usually below 4%. 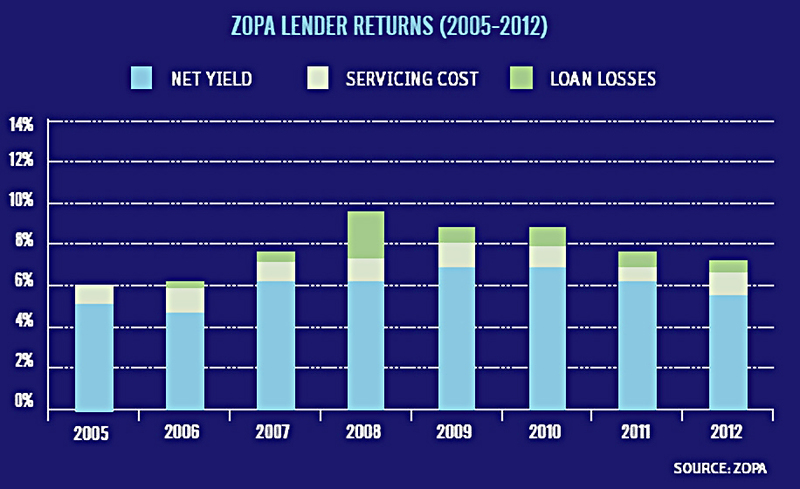 Over 12 years (including the financial crisis) Zopa has averaged 1.06% in losses (compared to a predicted 2.15%). This could well be an area where past performance is not the greatest guide to the future, but Zopa did well during the last recession. Please ignore the dodgy spelling in some of the tables below. 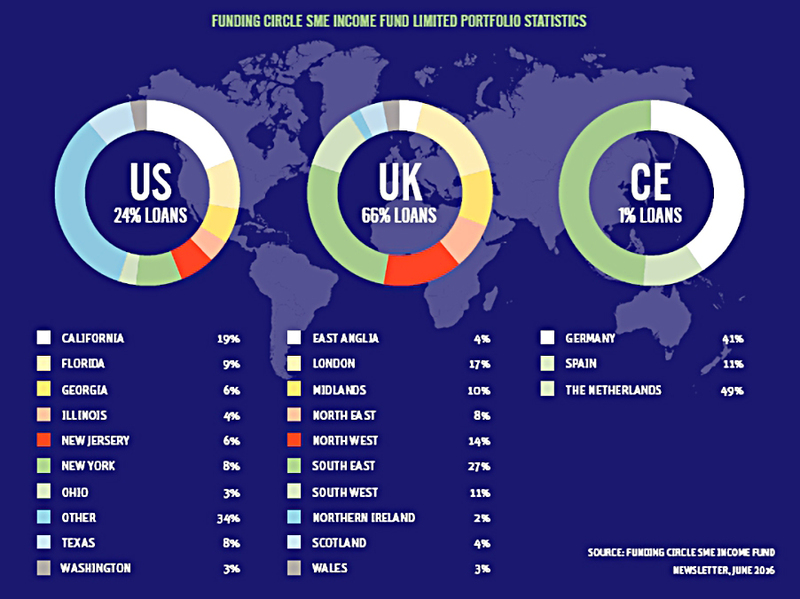 There are now several P2P lending investment trusts listed in London,2 and the report looks at four of them in some detail. Unfortunately, performance to date hasn’t been good (though it’s not uncommon for investment trusts to trade at a discount to net asset value. 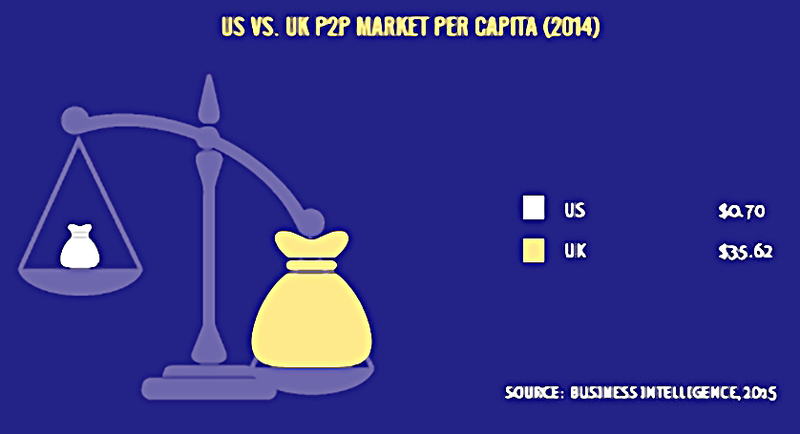 P2P has boomed in the UK, with increasing levels of lending and a proliferation of platforms. With this growth comes the risk of a deterioration in credit quality and the potential for problems during the next recession. Lending against property projects and to small businesses has joined the original personal loans market. 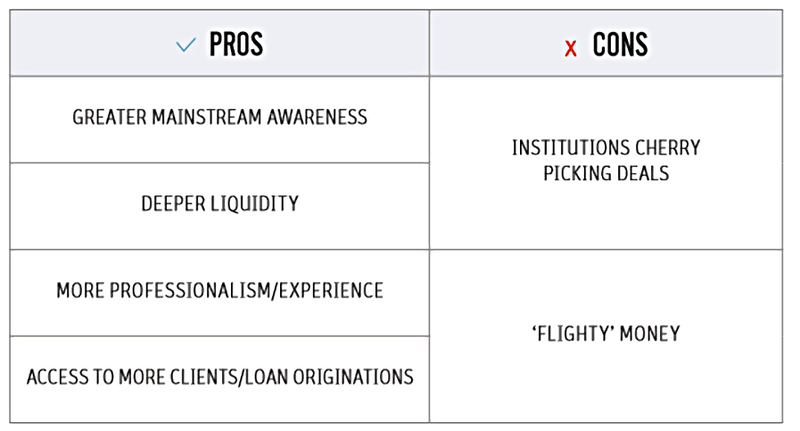 Institutional lenders now provide cash alongside private investors. With interest rates on savings accounts so low, it appears attractive, but individual lenders must be aware that their capital is at risk. The tax treatment of P2P is now more favourable (the IF-ISA, offsetting of losses and the personal savings allowance). But diversification is hard to achieve at small portfolio sizes. 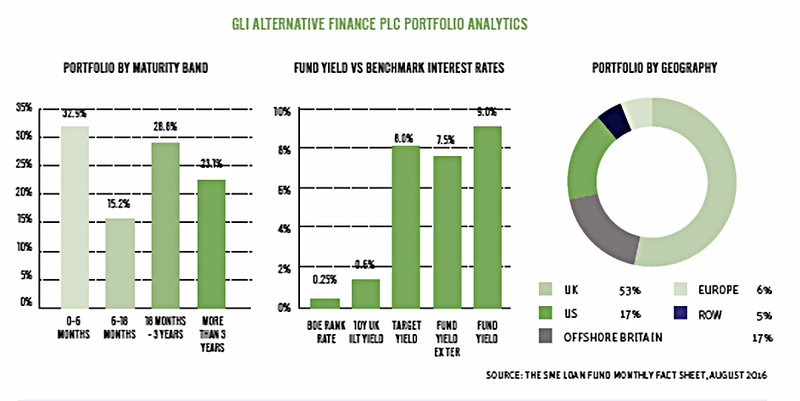 Investment trusts offer an alternative route to accessing this new asset class. They have performed relatively poorly to date, but might stabilise in the future. and it could fare badly in the next downturn. Previous story How To Own The World – Why?